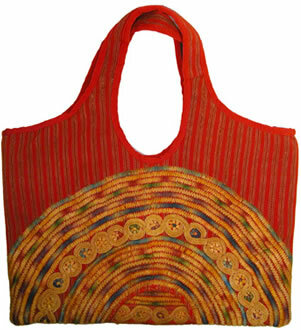 These huipil handbags sport handles that flow from the bag itself, and is sized for hand-held or shoulder use. Cotton lined. Magnetic closure. Huipil designs will vary but will be similar to these with orange, red, brown, copper, green, brown tones. About 18" wide x 13" high for the main part of the bag. Handle works well for hand or shoulder use. Zippered inner pocket (about 3" x 7"). 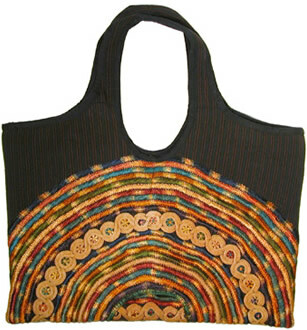 These bags are handmade in Guatemala and are 100% fair trade. The fair wages the artisans receive improves their living conditions and helps build a better life for themselves and their families.